Provided work for 15 families and 30 women in Turkey. Provided an additional 15 hours of work for employees in a small production company. Gave 5 weavers and sewers a livable wage at a small company in Turkey. 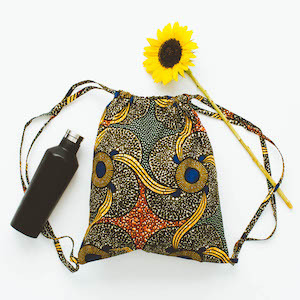 Contributed to Alaffia’s Empowerment Projects in Togo, Africa. Helped employ 85,000 farmers in Ghana. Provided 840 hours of flexible employment for 12 artisans in Thailand. Provided the equivalent of a full year of employment for 6 workers. Ensured continued employment of 8 carvers in the olive wood studio. Doubled the employment of a cooperative in India and provided 1 month of work for all artisans. Increased number of producers sourced in rural Morocco and provided business for local California almond and honey suppliers. Cleaned up and re-purposed 365,000 water sachets. Provided supplies for 980 beekeepers. Donated 4,551 meals to hungry children in the US. Helped pay for school fees and meals to artisan families. Provided 3,300 hours of business training for women in Rwanda. Saved elephants, created jobs and protected trees. Employed 16 woodworkers and went to funding a new workshop. Provided employment and income to disabled artisans in rural Peru. Created full-time work for 1 month for 250 women in rural India. Provided livable wages for 3 artisans who fully provide for their families. Provided 17,028 hours of work to artisans in India. 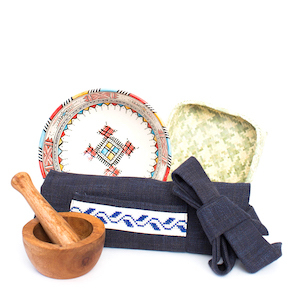 Gives 45 woman artisans across rural Mexico income earned from home. Employed 60 artisans with disabilities in Cambodia. Reduces carbon footprint on mother earth through use of clean, eco-friendly materials. Provided 3 months of full-time work for artisans. Provided 10.5 months of employment for artisans in India and Honduras. Expanded training programs for 4 artisans. Helped an artisan save toward building a house. Employed 20 homeless women and 25 artisans in Malaysia. Provided for 480 people in South Western Morocco. Helped protect 11,000 elephants and 200 m2 in Africa. Provided 70 artisans with salaries, meals and chai, health benefits, and building overhead costs for 1.5 months. Gave employees in Honduras and India 3.5 months of employment. Provided 2.5 months of work for 10 artisans in India. Doubled employment and workshop capacity for entire carving team. Gave 25,304 hours of employment to 24 employees. Help artisans protect homes from flooding and climate change. CraftBoat was able to expand their workshop space by 500 ft2. Help sustain full-time employment all year for 2 bisque-makers and 4 painters. Over 50 artisans employed for molding, polishing, painting, and packaging teacups and saucers. Provided 19,650 hours of work for artisans in India, generating a 23% increase in annual revenue. Created 1 month of work for 19 full-time employees. Helped provide year-round health insurance for 60 employees in Palestine. Provided 14,000 hours of work for 20 master weavers living on a remote island in the Philippines. 108 trees were planted in Bangladesh for the Children’s Forest Program. Urban Green Makers donates 1% of their profits to plant trees in places in need around the world. Matr Boomie's partnerships with thousands of tribal artisans in villages throughout India has quadrupled their monthly incomes. Created approximately 5,400 hours of work for 25 artisans in Mexico. Tea was sourced from an organic, Fair Trade Certified farm in Egypt that employs 144 farmers and their families, totaling about 1,000 people. 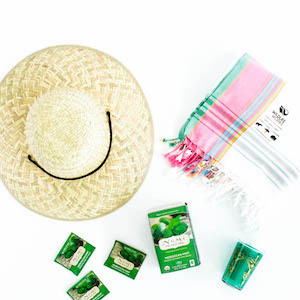 In addition to paying Fair Trade wages, money was put into a communal Fair Trade Premium fund that has recently been used to invest in schools, sanitation work, and transportation to and from work for the farmers. Created 19,200 hours of work for 50 artisans in India. Covered costs for 30 children enrolled in the Noah’s Ark Schooling Project for 3 months. Built and renovated toilet facilities in the homes of two artisans in Moradabad. Covered Wildlife Works factory expenses for two weeks, including salaries, health care, on-site child care, daily lunch and chai breaks. Apron materials were sourced entirely from local West Bank suppliers, creating secondary investments in the local economy. The amount of pestle and mortars completed over a month for GlobeIn is what the artisan usually sells in two years. The primary artisan was able to pay a full year of school fees for her children and feed her entire family for months. Supported and preserved the ancient craft of Indonesian wood turning.